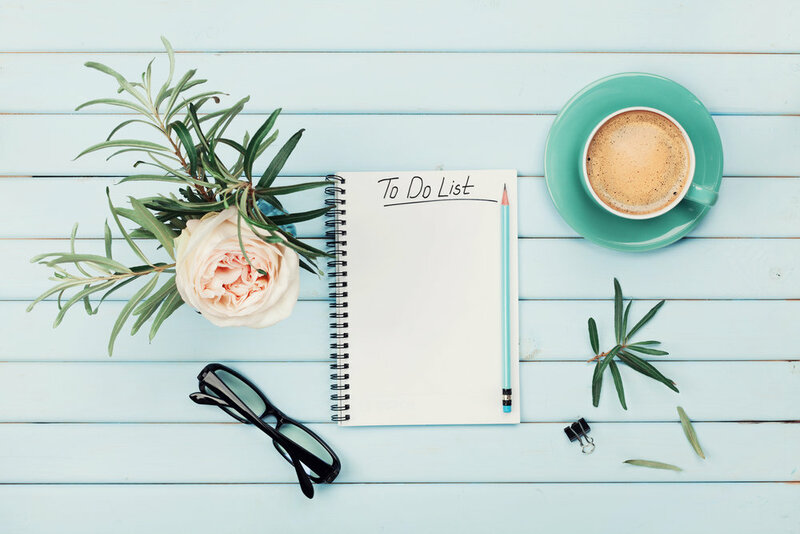 Writer and self-improvement expert Erin Falconer takes a deep dive into how we can bust out of the "busyness trap" and start making room for what we really want to achieve. Have you ever asked a woman how she is and had her answer any way other than, “So busy!”? And I don’t think it’s bragging. I think when you add up work, unpaid domestic work, and emotional labor, we’re busy. And we know that being in fifth gear all day is likely to result in emotional and physical burnout. But what has it got to do with productivity and self-direction? Isn’t being busy the way to get things done? The short answer is no. For those addicted to striking items off their to-do lists, this is hard information to take in. How can it be possible to be productive without being busy? The radical leap I’m asking you to make demands you do exactly that: be more productive by being less busy. The reality is that the very structure of our days—in which we rush from task to task, cramming in as much as we can—not only reduces our ability to be creative, it also takes away our ability to know our own minds. When we are engaged in focused work, working without pause through that to-do list, we are using our left brain. We also need quiet, meditative time for our right brain to process information and come up with creative solutions, but also to make value-based choices. In other words, we need less activity and more calm so that we can literally know our own opinions. When we’re moving at breakneck speed, making it hard for ourselves to check in with our actual desires and opinions, that void is more easily filled by others. If you’re not sure what you think or of what you feel, it’s much easier for someone else to tell you what you should think and feel. And as we’ve talked about earlier, the world is only too happy to tell women stories that hold them back in a myriad of ways. I recently read a fascinating account of what happens to the brain in the face of all of this busyness. According to Iain McGilchrist, psychiatrist and author of The Master and His Emissary: The Divided Brain and The Making of the Western World, the brain is divided into two hemispheres: the right brain (creativity/the Master) and the left brain (reason/the emissary). And though it is a complex scientific evaluation, the gist goes something like this: All creativity comes from the right brain. All effort and action comes from the left brain. The more action the left brain takes, the more stifled the creativity of the right brain. The calmer the left brain is, the more the right brain/creativity flourishes. While both sides of our brain, along with their capacities, are essential, McGilchrist makes the point that as a culture, we have come to value the left brain over the right brain. Bringing back balance by favoring the right brain and creativity is especially important to women, in my opinion. Creativity represents everybody’s true voice: it’s what makes every individual unique. Whether you’re an actual artist or just someone who needs to solve problems as part of your job, creativity is essential. The more we’re doing just to do—the more we’re doing just to check things off a list—the more difficult it is to hear that creative voice and to know who we really are, and what we want and need. This is why an analysis of our own personal busyness is a must if we’re ever to start putting emphasis, effort, and energy into the things that really represent who we are and what we want, so true productivity can be achieved. 1. Don’t apologize for asking for help or for giving someone else a task. 2. Don’t expect people to do things as you have done them or would do them. Did it get done? By someone who isn’t you? You’re good. 3. Give clear instructions and expectations. You can’t imagine a job is going to be completed if it’s not clear what the job is. Don’t hope that your roommate will one day empty the dishwasher without you asking. Ask her. 4. Get out of the way. Don’t hover as a person does the project or task you’ve asked them to do. 5. Don’t take a job back—right away—if it gets screwed up the first time. People need a chance to learn. Don’t use other people’s mistakes as a reason you have to do it yourself. From How to Get Sh*t Done: Why Women Need to Stop Doing Everything so They Can Achieve Anything by Erin Falconer. Copyright © 2018 by Erin Falconer. Reprinted by permission of North Star Way, an Imprint of Simon & Schuster, Inc.